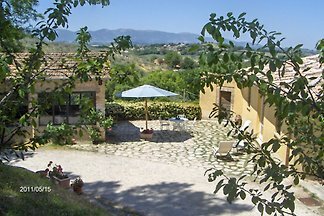 Apartment with large living room with kitchenette, two bedrooms, bathroom with tub and porch, in a typical Umbrian farmhouse, surrounded by countryside with swimming pool and garden. 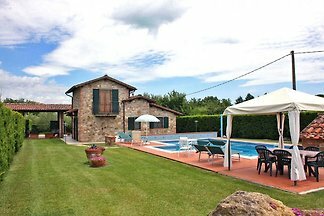 Your home in the countryside in Umbria, with swimming pool. 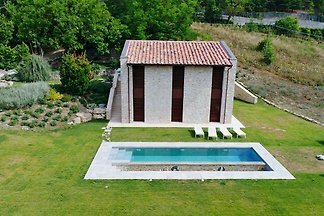 Casa Betty is a small private villa with pool in Umbria, located in the vicinity of Bettona and near Assisi. It offers wi-fi, equipped outdoor spaces and it's pet-friendly. 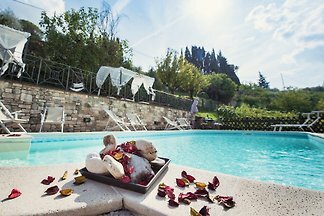 Large private farmhouse with pool set in the countryside of Assisi, in the Umbria region. 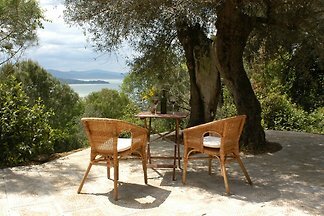 Equipped outdoor spaces, table tennis, wi-fi, pet-friendly. 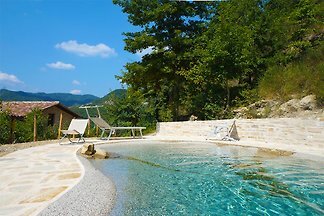 Landhaus am Tiber with pool and garden Cottage (ehem. Mill) in the countryside, in Umbertide, Italy. 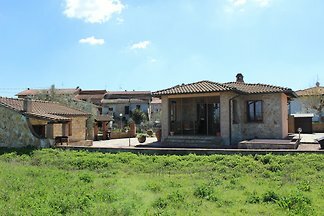 A total of 4 bedrooms and 3 bathrooms. 8 people. 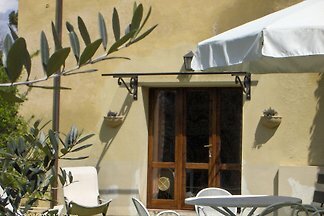 If you are looking for a place for a peaceful and relaxing holiday, where you can completely disconnect from the surrounding world, Casale Frigino is the right place for you. 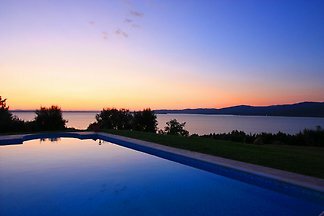 Villa with private pool and stunning views of Lake Trasimeno for 8-12 people. 4 bedrooms, 3 bathrooms, internet, table tennis, dishwasher and washing machine. 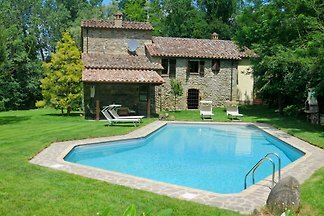 Your home in the countryside in Umbria with swimming pool. 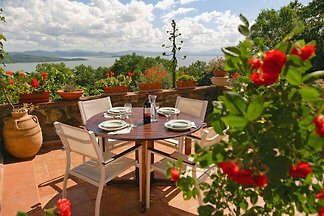 Apartment Vera in Umbria - Tuscany in a fantastic panoramic position with room for up to 2 people. 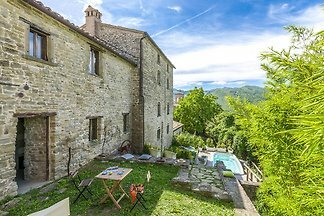 "Villa Villar is only 15 km from Città di Catello (Umbria) and 30 km from Cortona (Tuscany) on the hills that overlook the Tiber High Valley. It can be described as an Eden. 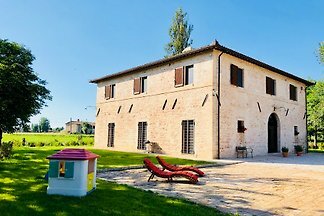 The villa of 1800, completely renovated, is located in the plain that extends from Foligno towards Montefalco, a few kilometers from the Umbrian tourist destinations. 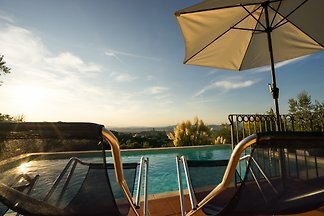 from 5 7 holiday homes & accommodations in Perugia & surrounding area were rated with an average of 4.8 out of 5 stars ! 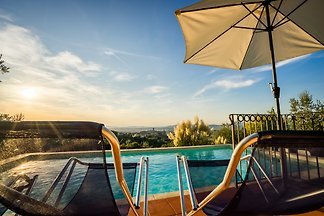 Rent successfully your holiday flat or holiday home in Perugia & surrounding area in only 20 minutes !